Checking out the rodeo with a group of friends is going to guarantee that everyone is able to have an amazing time checking out the spectacle while relaxing and enjoying the company of everyone. However, getting things organized so that everybody can easily arrive at the one time is not always easy, and can often prove to be rather awkward. Who wants to be faced with all of those difficulties and problems? Well, that particularly difficult task is now made a whole lot easier thanks to Limos of the Woodlands and our special rodeo limo service. 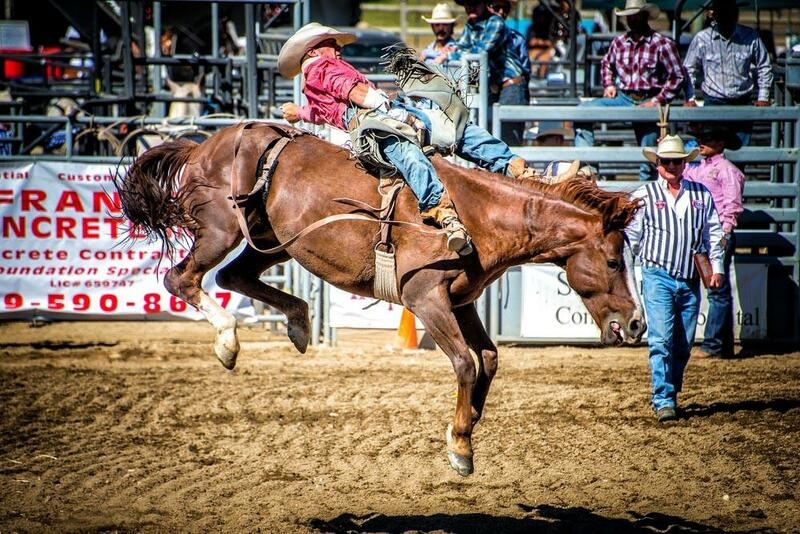 Gone are the days of wondering how you will achieve this feat as we will take all of that stress off your shoulders allowing you to focus on the most important thing of all, which is getting to the rodeo and being able to enjoy everything that it has to offer. Let’s face it, you want everyone in your group to have the best time possible. Going to the rodeo is a wonderful experience, so why should you not then want to arrive in the best way possible? After all, making the entire day out as good as possible makes so much sense, and by contacting us here at Limos of the Woodlands, you are taking the first all important steps to achieving just that. Leaving your travel aspect to a company that specializes in offering an amazing time to all of their clients allows you to simply breathe a sigh of relief. Our service will make sure that you and all of your guests can arrive at the rodeo in style and absolute comfort in one of our luxurious limos. With both a limo or a party bus available, it means we can cater for groups up to 40 people, and we guarantee that everyone will be able to have an amazing time whenever they are in our company. We offer a fully personalized service from the initial contact, and we also provide you with a free quote with no obligations attached. However, we are confident that you will love our full packages and notice that we are providing a wonderful service for a price that will not break the bank. We have built our reputation on attention to detail, which means we constantly strive to offer the best possible experience to all of our guests as we hate to have anybody that has not had a wonderful time in our company. Our vehicle options are all kept to a very high standard and are fully equipped with the technology that you would expect to find in a stretch limo, so your party can have a blast before, and after, the rodeo itself. We have also sought to make our party bus as comfortable as possible as well as offering more than enough space for everyone on board. We believe in creating a relaxed atmosphere so that everyone can just chill and look forward to the events ahead. Upon the arrive of our limo, SUV or party bus, you will first of all be astonished to discover the absolute quality of what we have to offer you. The fine details from the cleanliness down to the quality of customer service that you will receive will ultimately mean that everything is going to go as smoothly as you should rightfully expect. Your driver will welcome you all on board and make sure that everyone is comfortable and looking forward to the trip ahead. Our fleet of luxury limos covers normal sedans, through to the SUV style limo and up to our party busy. This means we are able to cater for parties of varying sizes, but each party receives the exact same quality customer service no matter its size. You will discover that our limo options are fully equipped with music blasting out to help get your party started as you make your way to the rodeo. Our luxurious seats, ample space and your own personal driver will get you to your destination with you feeling stress-free. The same applies for our SUV and party bus options, and after contacting us we can advise you on the best option for you and your party depending on the all important numbers. We keep all of our vehicles up to date and they are maintained to the high standards that all of our customers rightfully expect. The high detailed lighting and stunning stereo system will allow you and your party to kick back and enjoy an amazing atmosphere no matter if you are in our limo our party bus. With the kind of service that we can offer, you will certainly want to travel the longest road possible to reach the rodeo so allow you to further enjoy the party experience in our vehicles. Making your booking with us is easy. Simply tell us how many people are going to be in your party list, and we can advise you on the best vehicle to fit those needs. Not only that, but once you inform us of the details, then we will be more than happy to advise you as to what you can rightfully expect when you hire us to take you to the rodeo. In addition, we will deal with any questions that you may have regarding the experience you are about to have as well as allowing us to discover if there are any special requirements or requests in advance. So, if you are looking at getting to the rodeo with your friends, and are actively seeking an easier way to get there, then your search is now at an end. Contact us today at Limos of the Woodlands by either giving us a call or via our website, and a member of our team will be in touch to arrange everything. Remember, we also offer a free quote for our services no matter if it is the limo or party bus that you require. We look forward to getting you and your party to the rodeo in style and absolute comfort.